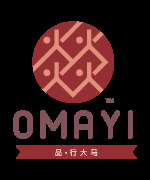 OMAYI is a reputable brand of native products in Malaysia. There are a lot of unique local products under the OMAYI brand, especially rich in local heritage, to introduce Malaysia’s exclusive culture and specialty to the whole world. OMAYI products, boasting of cultural characteristics unique only to Malaysia, carry the mission of ‘spreading Malaysian culture to the world’. Foreign tourists share these local specialty products, so full of distinct Malaysian culture and sweet travel memories, with their friends and relatives back home, adding warmth and meaning to the travel. We have set up numerous OMAYI theme stores in key tourist destinations in the country to promote OMAYI products as tourists’ choice souvenirs. These touristy locations include Melaka, Penang, Pulau Langkawi, Sabah, Kuala Lumpur and many more. OMAYI, empowered with the mission of spreading Malaysian culture, produces only specialty products that carry strong local flavor and cultural heritage. In addition, fine packaging has made MAYI products the choice souvenirs of Malaysian tourists. OMAYI has firmly positioned itself as a reputable brand of local souvenirs with quality products and exquisite packaging. When tourists bring these products back home for their friends and relatives, they enjoy a rich cultural heritage and, at the same time, spread Malaysian culture.